Safety footwear is one of the most important parts of a PPE wardrobe. Everyone involved in any form of manual handling needs at minimum a pair of gloves and a pair of safety boots or shoes. Fortunately there is a huge range of cheap safety footwear available in the UK, from low-priced brands like Tuf to designer safety boots from Dr Martens, Caterpillar and JCB. So whether you’re trying to keep costs down or satisfy an employee with a love of designer labels, the chances are you’ll succeed. Aston Workwear’s range goes much further than traditional safety boots though. It includes chukkas, trainers, rigger boots, lightweight safety footwear and specialist ladies’ safety footwear in the form of slip on flats, loafers or lace up shoes. Most employees will need a replacement pair of safety shoes every year or so. Just like regular shoes, the soles will wear down, the insides may well start to disintegrate and they’ll just generally look well worn. With the wide range of safety footwear available on this site, your staff will be spoilt for choice. Safety footwear is a very personal choice – some staff will prefer shoes, others will go for trainers. There are some areas where the traditional safety boots or rigger boots are likely to be mandatory because of the extra protection a boot will give the wearer’s ankles over a shoe. Lightweight safety footwear is often more comfortable to wear for several hours, especially when the wearer is on their feet for much of a long shift. Hospital porters, delivery drivers, warehouse staff and retail workers will all appreciate the inclusion of lightweight safety footwear as part of their uniform. As it is usually the responsibility of the employer to provide specialist footwear for their workforce, the availability of cheap safety footwear is essential. On construction sites even the administrative staff are required to wear full PPE when venturing any further onto site than the car park, and that usually means hi-visibility jackets, gloves, hard hats, and safety footwear. At Aston Workwear our safety footwear range comes in a wide variety of sizes and styles, so everyone from the newest apprentice to the CEO will be able to find something suitable. Many staff may also use their safety footwear at home too, for instance when working in the garden or undertaking DIY. This is the ultimate seal of approval – that an item of work wear then also proves useful outside work. Fortunately, it won’t cost the earth to replace worn out safety footwear when you place your order with Aston Workwear. Aston Workwear has a wide selection of safety footwear for men and women. 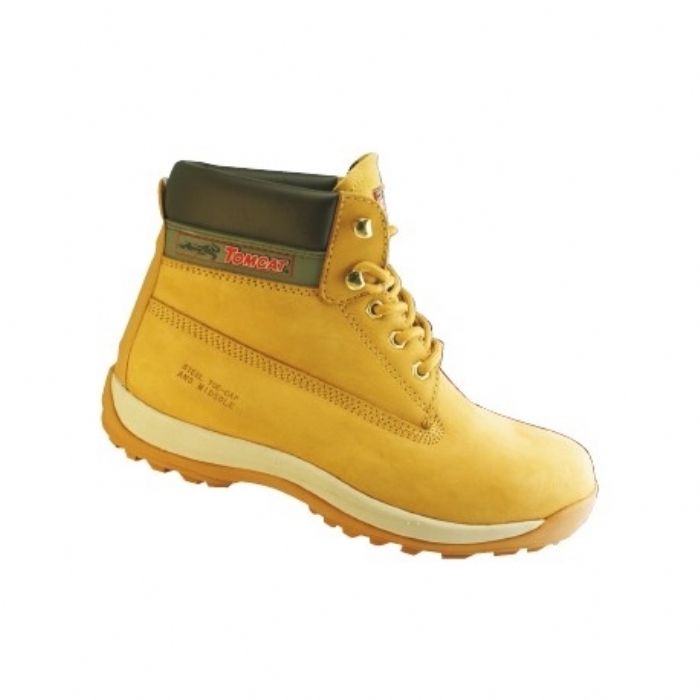 We have safety shoes, safety trainers and safety boots of all designs and sizes, lightweight safety footwear and ladies’ safety footwear available in smaller sizes. We are, after all, one of the leading stockists of safety footwear in the UK. Your more fashion-conscious staff should approve of the choice from Dr Martens, JCB, Caterpillar and Timberland, while your finance team will like the rock bottom prices of the Tuf range. Safety footwear is an important part of PPE, but the choice can often be personal, on style or comfort grounds as well as the level of protection offered. Aston Workwear’s extensive range ensures that all your staff will be happy with their safety footwear.